Every football game throws open an array of subtext plots. In short it goes a long way to explain why fanatics love the game, and will debate it for hours on end. Manchester City at home gave us a plethora of these. 2 teenager goal scorers, 2 debuts, 1 debut goal, a 20 year old outshining his 50 million tutor up the other end, Pep’s biggest defeat, Barkley’s continued re-emergence and a new formation give is just a handful of topics. Each one would make an interesting article, or debating point. However today I am going to focus on what looks like the mixed fortunes of two wingers. Kevin Mirallas and Gerard Deulofeu. Why? Well primarily because Sunday seemed to illustrate the contrast in fortunes; one player on his way to redemption, another on his way to Milan. More broadly because these two players seem allegorical of another time. A time that now seems unhappy looking back but one that gave us happy moments mixed in. The fate of the two men has always seemed very tied together. When we signed Deulofeu back a second time I always felt it would be at the expense of Mirallas. It was a decision I was happy to live with. In taking Deulofeu back, before any prices were discussed it was always a question for me if which one I would prefer. Clearly that was never the thought process of the club, but it’s how it felt to me. Either/or and never both. It was an approach that was mirrored by Martinez for most of his tenure. However gung-ho he was, it was never quite enough to pitch them both together in the same team. 1 Winger, 1 clever/creative player. Maybe when the dust has settled the passing of time will allow us to reflect on the autumn of 2013 and the excitement that was felt. We won at Old Trafford for the first team in 20 years, we could have scored 10 against Liverpool, we outplayed top of the league Arsenal. For the only time watching Everton (I was born too late for the 80’s) I feared nobody. I thought we would hammer all before us. I had always subscribed to Moyes’ “knife to a gunfight” analogy. Yet him struggling, and Martinez seeming to turn said gun into a fully armoured tank with loan signings and a change of attitude. Time has probably been kinder to Moyes’ time at Old Trafford and harsher on Martinez but in that autumn anything seemed possible. We could win the league. This must have been what it was like through 1984. Maybe not this season, but it was coming. This isn’t just a piece of reminiscing on the past, however cheerful it seems. 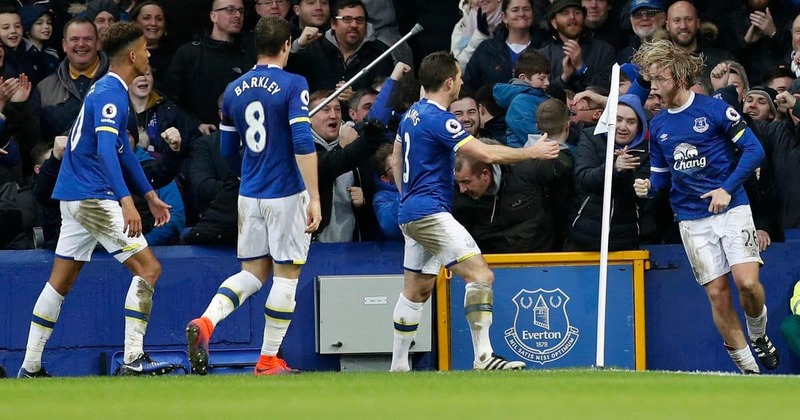 This was a peak moment in time for Everton, but also for the two wingers. As I suggested above, their own careers seem to represent what happened to Martinez’s Everton. Their loss of form is central to it. If we start with Mirallas. He seemed such a Moyes buy. 6 million pounds, foreign lad, obscure league, would do well. We became accustomed to Moyes doing this. From the start he showed a turn of pace we missed and looked a strong finisher. I remember him running the length of the pitch and scoring versus Stoke. I also remember him dazzling in the “10” at White Hart Lane. You hoped he could replace Fellaini in the position, and he could be the man that switched us from a reliance of utilising Fellaini’s height and touch to Mirallas’ pace. As generally happened of Everton at this time I spent much time worrying whether he would be sold. You’d imagine we would get 20 million (when 20 million was a lot) if he went. 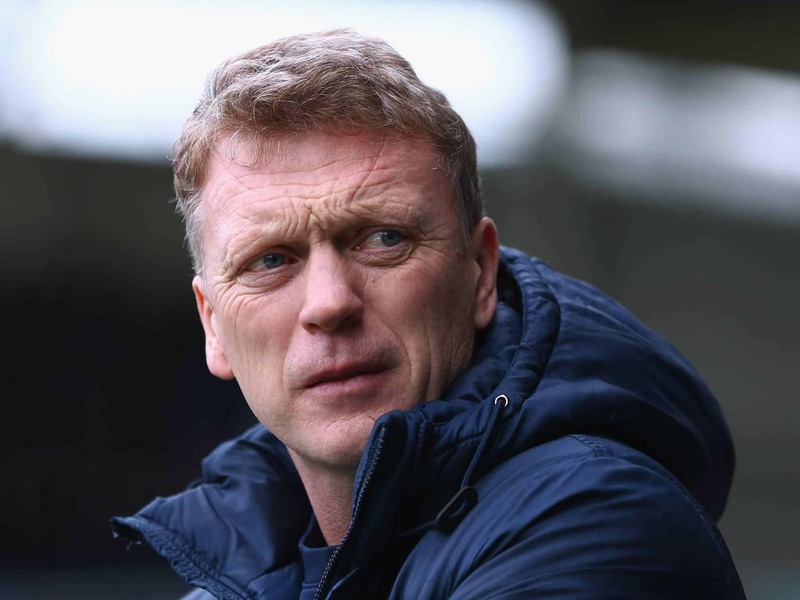 As with Moyes’ Everton, players were eventually sold, often before we were ready to let them go. Spurs lurked and were interested as a potential replacement for Bale. His direct running and finishing was reminiscent of this. Ultimately they baulked at Everton’s price. In the summer when Martinez comes Fellaini goes instead and we can keep Kev. Game on. Deulofeu feels very different to Mirallas. He feels more exotic and has more pedigree. He has scored hundreds of goals for Barca B and is earmarked as a future Messi. He’s 18. On obligatory youtube clips he looks to dribble the ball into the net. Martinez says he is indicative of a wider strategy of getting outstanding teenagers. Clubs will willingly loan them to us. It feels very different to Moyes’ time, and it feels good. Mirallas continues to score goals under Martinez. For Evertonians he remains one of the leading wide forwards in the league. I see Deulofeu for the first time at Fulham where he deputises. It’s a remarkable performance (Youtube clips were still available). The away end stand every time he gets the ball, expecting him to do something outrageous. It feels like we have Kanchelskis again, he is just too quick and direct for his opponents. He’s still raw but they can’t get near him. I remark he’s like a young Ronaldo. He continues this form. He comes off the bench for the derby and he could have a hat-trick in a game Lukaku nearly scores a hat-trick. I have never seen Liverpool be taken apart by a player like they were Deulofeu that day. The week after he comes off the bench to lash one in with super power from such a low back lift at Arsenal. I put 2 & 2 together and state if when he dribbles close to the goal, rather than complicating it he just boots it hard at the goal he will score 15 a season easily. There is a final Christmas appearance and start (in place of Mirallas) at home to Stoke. He scores the only goal, gets awarded MOTM and has a focus on him on MOTD. And he gets injured. From this point it is downhill for both players. 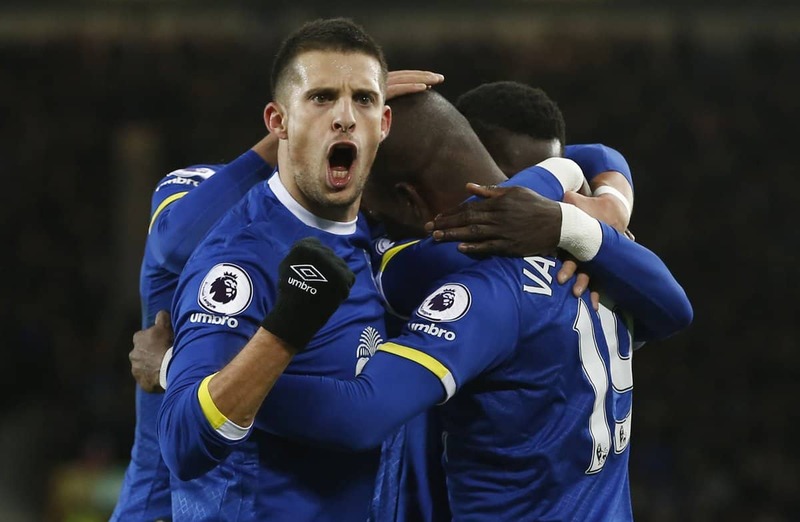 Mirallas starts to get regular hamstring injuries and there emerge serious questions over his attitude. His head isn’t right. Deulofeu doesn’t rediscover his form in the second half of the season on return from injury. He struggles at Sevilla and while he has a strong autumn on his return it isn’t sustained and he rarely features. Cleverley and Lennon fill Everton’s wide roles more reliably than either player. There is a moment in 2013, as indicated where we are unstoppable. It’s my belief if Mirallas stays fit he scores 10-15 league goals. He does it in a conventional manner. He is clinical and quick. Deulofeu people can’t get near. We also have Barkley flying and Lukaku scoring goals. We have a solid defence inherited from Moyes. We have McCarthy dominating midfields. Most of all though we have two outstanding wingers which Martinez refuses to play together. I have happy memories of both, but never a happy memory of them both playing just 1 game together in this period. After the 2013 Autumn Derby (which Liverpool also contributed greatly too) I have an argument with a red. He argues their own precarious new signing Coutinho is better than Deulofeu to which I reply is nonsense. Both players career go in different directions in 2014, Coutinho central to Liverpool almost winning the league. The momentum never shifts. I am reminded of my assertion whenever I see him. It was a life debate in 2013 and indicates how the team failed to live up to it’s potential, Deulofeu more than any. If we fast-forward to 2017. Mirallas looks as if he can play centrally. He has lost a yard of pace but for a lad who does remarkably stupid things does show an intelligence in linking up with Lukaku. The positions to take, the runs to make and backs it up with an eye for goal. Lukaku needs a partner so it’s a welcome skill. It may save Mirallas time will tell. Deulofeu still looks unfit. We also look to shift formation to play without wingers. Lukaku needs support, Barkley needs more freedom and both our full backs are wasted if there are wingers standing in the space they like to occupy. As yet Deulofeu has shown no aptitude to play inside. It’s likely he moves on in January. I suspect the slower pace of Serie A will suit him. 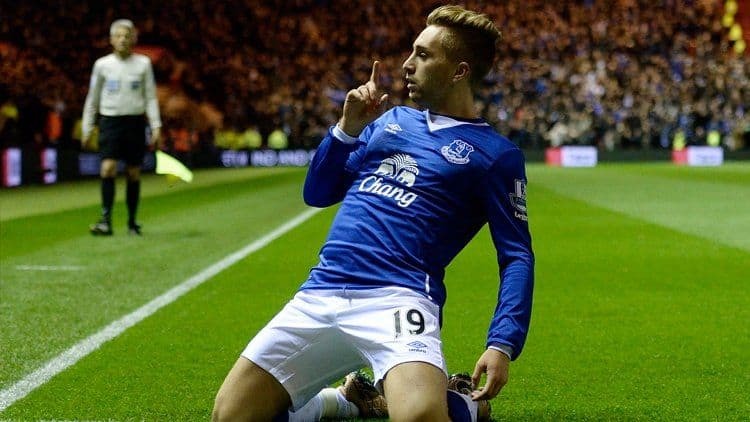 It seems fitting, in a week that Mirallas scores in a record Everton win, Deulofeu may well leave. Their fortunes have always been inexorably linked. When 1 plays well, the other seems to decline. If you are spiritual you may well draw some higher conclusions from this. I’m not and it’s the plight of erratic wingers and in the end explains why Deulofeu doesn’t make it at Barcalona, or Sevilla nad why nobody poaches Mirallas from us. We now all know the disappointment of them both, but in a great week to be an Evertonian, do allow yourself a moment to let your mind wonder and remember a short window of time where they made us dream.